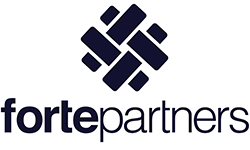 Forte Partners, founded in 2014, is one of the most important real estate developers in Romania. The company has developed a portfolio worth over EUR 200 Million, in both office and residential sectors. Forte Partners has developed office projects such as Ștefan cel Mare Building, Nova Building and The Bridge 1, as well as London 27 residential and has under development The Bridge 2, Calderon 80 and Aviației Park.